Indoor mapping is the white whale of our Spatial IT industry. We’re always reading about how our smartphones will lead us to the best deals or how I can find the specific nail I need in Home Depot without having to ask anyone or walk down every aisle. 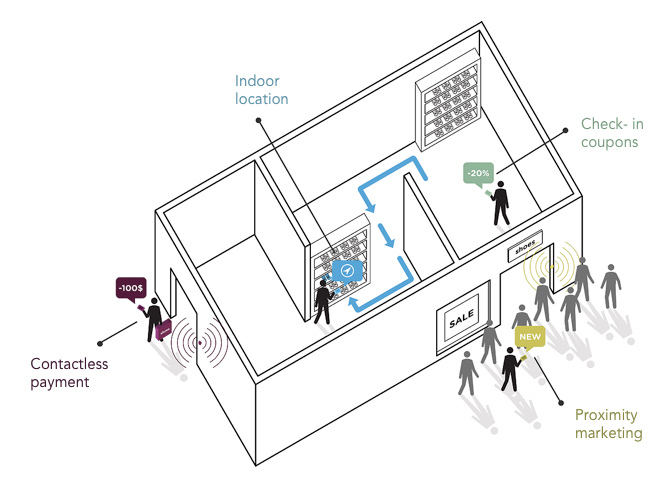 They key to all this is essentially iBeacon. Google was set to launch a new product that added context to one of its most successful apps, Google Maps. But earlier this year, it was shut down by Alphabet CEO Larry Page, according to people familiar with the project. Google Here worked by sending a notification to a smartphone user’s lock screen within five seconds of their entering a partner’s location. If the user clicked on the notification, a full screen HTLM5 “app” experience would launch. Google Here would know when to send the notification via Google Maps and beacons placed in the stores of participating partners. Google planned to supply the beacons to partners for the launch, according to the document. The experience could also be found by going to the Google Maps app. Exactly what we though everyone wanted. In testing the application was deemed too invasive and Google feared no retailers would sign up. That’s right, Google didn’t think could get their partners to install cheap beacons in their stores AND they feared they were too big brother. Seems weird doesn’t it, if there is one company that can get companies to spend money on ads, it is Google. And since when did Google ever think pushing ads on us was “invasive”? The magic about Google Here[footnote]Here as in not Here that was owned by Nokia[/footnote] was that you didn’t need an app running for it to work. Think about that for a minute, ads would appear on your phone based on where you where and you didn’t need to opt in to get them. Now we see why Google was very concerned that Here was going to get a large backlash. Being able to push ads on users would have been something they really could have sold well to companies, I’m not sure there would be any fear of companies not wanting to push ads on us. Beacons are still very important to Google. Their Eddystone project talks about lots of uses of beacons but not for ad delivery. Clearly there was feedback on this project and it jolted Google out of their normal sell more ads business model. I think beacons will be very valuable as they start appearing in more areas, but I for one don’t need to get an ad for fabric softener every time I walk into a Target.